This short history of butter and butter making is a delicious read. Khosrova traveled around the world to watch butter being made and used, from sculpting butter cows in Iowa, to watching yaks being milked in Bhutan and discovering that yak butter tea made with fresh butter can be delicious. Butter has been made from the milk of camels, water buffaloes, goats, and sheep, as well as cows, for many thousands of years. Religious rituals using butter, superstitions about butter making, and a variety of churns are all described. The history of commercial butter making is included, along with butter’s possible health benefits and the mid-century battle of butter and margarine. Sadly, I grew up on margarine, but I don’t bake with it. I had no idea that butter has become trendy, tending to buy whatever brand of unsalted butter is on sale. I have recently sampled three premium butters: a sweet cream European style butter and cultured salted butters from Brittany and Wales. During a recent visit to a local chain supermarket, I found at least six more premium butters, including a two pound roll of Amish butter. A big box retailer has two selections, and a national chain of small grocery stores currently offers butter made from water buffalo milk with Himalayan sea salt. The butters I tried were all delicious, especially on bread. I will still use basic butter most of the time, but where butter is featured in a recipe, like shortbread cookies or puff pastry, I’m looking forward to using a richer tasting, lower moisture premium butter. Recipes from simple to sophisticated are included, including two methods for making your own butter. 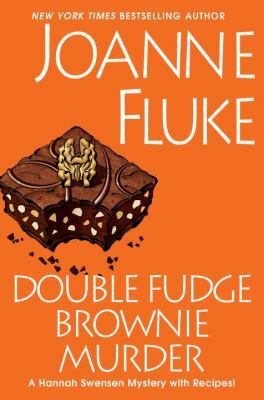 The author trained as a pastry chef, has worked as a food writer for a test kitchen, and edits a magazine about cheese. A long list of recommended butters is included. This is one of the most enjoyable microhistories I have read. A long, leisurely read about the history of making and using paper, as well as papyrus and parchment. Wall screens, lanterns and lamp shades, kites, balloons, gun cartridges, and even clothing have been made from paper. One of the first uses of paper was to wrap food, and it’s long been used in prayer flags and to burn at religious ceremonies. The history of printing is also described, and the rise and fall of newspapers. Paper making involves a reliable supply of cold, running water, a large supply of linen or cotton rags or other plants, and skilled paper makers. With their arms constantly in cold water manipulating heavy frames, paper making was arduous work, but skilled workers could travel to another area to find work at another paper mill, or start a new mill. Over the centuries there has been a rising demand for paper, and also the plants or used cloth needed to make it. Surprisingly, paper wasn’t made from wood pulp until around 1850. The use of paper doesn’t seem to have declined in this century, and there is a renewed interest in handmade and other specialty papers for writing, painting, and drawing, and paper is still being made from a variety of materials. An interesting and informative microhistory, but not a page turner. In October, 2009, Ruth, the editor-in-chief of Gourmet magazine, was shocked to learn that the publisher was ceasing publication of Gourmet, which debuted in 1941. Even though the December issue was at the printers, and three more issues were planned, no more magazines would be published. Amidst this turmoil, she still has to launch “Adventures with Ruth”, a 10-episode travel and food television show, and go on tour for the brand new Gourmet Today cookbook, which she had edited. In the year that followed, Ruth wrote copy for the Gourmet Cookie Book, and tried to reinvent herself; not easy at 61. With her husband Michael, she spent a very cold and snowy winter at their country house, and decided to sublet their NYC apartment. Used to dining out on an expense account as a food critic, Ruth now has the leisure to visit farmers’ markets and to cook seasonally. Photographs of upstate New York and many recipes add to the appeal of this gorgeous book. 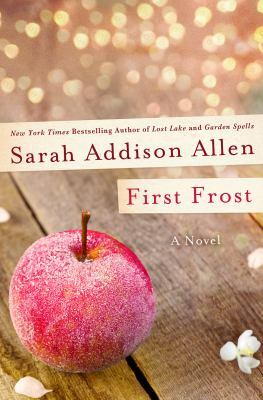 Laid up part of the year recovering from an injury, Ruth also begins her first novel, Delicious!, which the Tuesday evening book group is discussing on January 26 at 7:00 p.m. Next I plan to read Garlic and Sapphires, about her life as a food critic, often in disguise. Wishing you an adventurous year of reading! 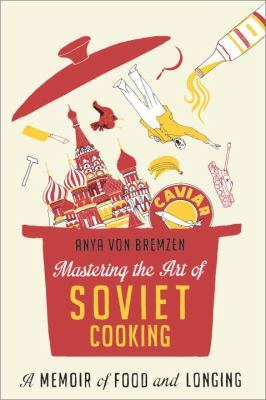 Anya von Bremzen describes life and food in 20th century Russia, the Soviet Union, and former Soviet republics. Born in Moscow in 1963, Anya and her mother Larisa moved to Philadelphia in 1974. By telling the stories of her grandparents and parents, Anya describes each decade of the 20th century, along with the food popular then. Her Jewish grandmother Liza was from Odessa on the Black Sea, her grandmother Alla was an orphan born in Turkestan and raised by a Bolshevik feminist in Uzbekistan. Her grandfather Naum was an intelligence officer, and her father Sergei helped preserve Lenin’s body through science. Through visits to family with her mother and later travels in the former republics with her boyfriend, Anya immerses the reader in the food and culture of each place and time. Trained as a pianist at Julliard, she became a James Beard award-winning food writer. We learn that standing in lines in Moscow could be a social event, as was the case when her parents met in a line for ballet tickets. The alternating availability and scarcity of various foods, such as bread and corn, could make anyone obsess over food, especially if forced to use a communal kitchen or eat caviar in kindergarten. While I don’t know if I’ll be trying any of the recipes at the end of the book, Anya’s memoir really kept my interest.